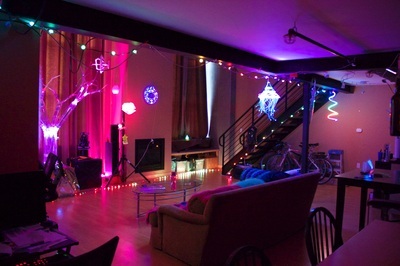 ​Sustainable Magic is a growing collective of technology-inspired artists, makers, and educators based in San Francisco. We make interactive art to share and inspire people to want to create, then teach them how using our high-tech traveling maker studio, the Magic Box. 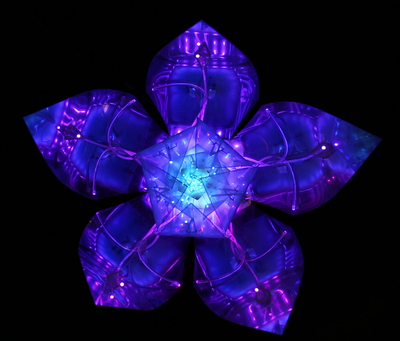 We also create immersive interactive art experiences for public and private events. We seek to inspire and empower people to step out of their comfort zone and to learn new skills and approaches to creating, problem solving, and collaborating using high tech tools like 3D printers and laser cutters, Arduino and robotics. We help people have the confidence and capability to change "What if?" into "Let's try!". And, for those with more experience, we help them take it to the next level. 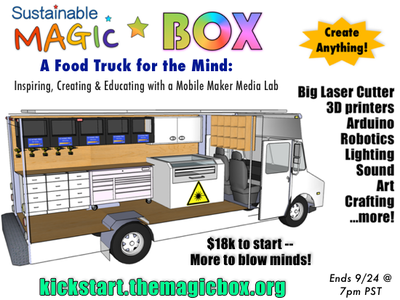 We recently completed a crowdfunding Kickstarter campaign to fund "The Magic Box" -- a mobile maker media lab meant to inspire and educate novices and provide creation infrastructure to experts. Outreach - social media, businesses, website inquiries, networking, etc. Marketing copy - brochures, website copy, etc. Programming - help us make digital infrastructure and tools to streamline our workshops, ability to collaborate, etc. 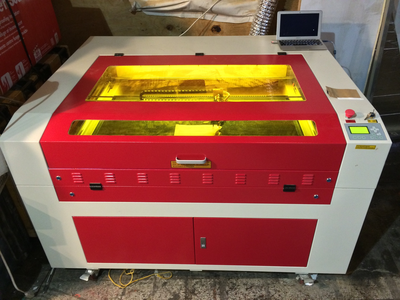 Artist/maker - help us run a workshop or lead your own with our infrastructure! Money - to help us buy and repair equipment, material/supplies, and to pay the bills. Set up a recurring or single-time electronic donation via Paypal. Contact us if you have other ideas to help us or would like to coach a workshop.